Conversation with People...this page contains conversations with people in Siskiyou County and in my life. Please link through to their full interviews. Denise Spayd is the volunteer Executive Director at Siskiyou Food Assistance. The Food Pantry provides food to low-income residents of South Siskiyou County through an all volunteer run program. Denise facilitates two major fundraising campaigns that SFA relieves on to keep their food pantry going they are the Run for Food 5k run/walk on Thanksgiving Day, and North State Giving Tuesday (held on the first Tuesday after Thanksgiving). David Clarno and Aaron Greener are the owners of Dunsmuir Brewery Works, a family friendly brew pub with live music and outdoor seating. Their food menu focuses on lunch and dinner with specials. The beer menu changes with the seasons. They are located at 5701 Dunsmuir Ave in the historical district of Dunsmuir. Pictured: David, Me and Aaron. Kristin Allen is also know as The Blind Lady because she sells window covering. Her children know her as the Best Vegan Mom Ever. Raise on meat and potatoes in dairy country Kristin is having fun just eating plants. Nikolas Allen is a real estate agent who is also creating music and still finds time to emcee the Liberty Arts Fashion shows and Butteville PTO Art Auction. He shares his recipe for Soft-Shell Street Tacos. Kendra Bainbridge is the owner of Raven Tree, Wild Bird & Nature Shop located in the Ray’s shopping center in Mount Shasta. Raven Tree carries birding products including bulk seeds suet, feeders, baths, houses, optics and books. A great place to shop for nature related gifts for adults and children. 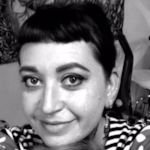 Lindsay Budner is an abstract photographer and owner of Elemental Framing. Lindsay honed her knowledge of the camera and now uses her artistic instincts and trained eye to capture the subjects of her abstract nature photographs. Visit her Elemental Photo website to view her photography. 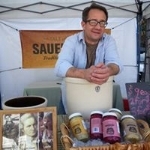 Dave Edmondson is the entrepreneur owner of Salt and Savour you can see David at farmers Markets through out Northern California. Cami Noble is a long time friend of mine and contributor to my collection of hand painted dinnerware. She shares Jeanne's recipe for Coconut Macaroons that she has made her own with a gluten free option and they are dipped in chocolate! Kim Solga is an artist, muralist and avid river rafter living in Mount Shasta. Solga is also a web designer and author. She shared her recipe for River Rafters Turkey Chili for 16. Sandra Vaughan is one of the co-founders of Earth Bands, Every Bead Tells Your Story. An eco-ethical company located in Siskiyou County and making an impact worldwide! Check out her recipe for the Best Potato Salad.